"...because making music is fun!" -- Enhance Their Education with Music! 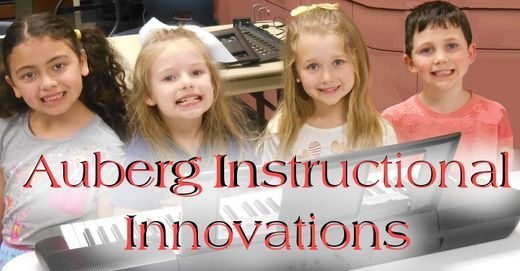 Auberg Instructional Innovations is an American music education and media company located in Newport News, Virginia. 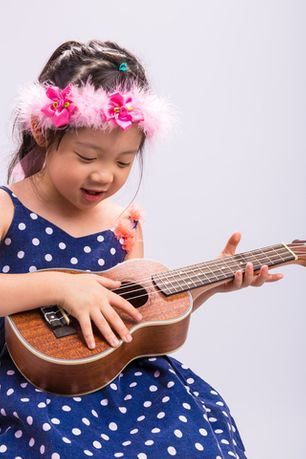 They offer group music and animation classes in cooperation with the Newport News Parks and Recreation Instructional Programs as well as producing books, sheet music, and YouTube videos. Go to the Video's Page! "Lego-brick Drum Speed-build & Directions"
"Lego-brick Maracas Speed-build & Directions"
"The Little Tug Boat that Knew that It Could!" More goofy than it is scary, "The Haunting of South Baker Street" is Lego-brick animation fun! When 2 Lego-brick people come across a haunted house they did what anyone would do... run like crazy... oh wait, they didn't; the actually went inside! We had the boat made for a scene in our upcoming feature length Lego-brick movie, so we decided to use it to make this short scene about a ship in a storm. It is accompanied by gorgeous Native American flute playing! "Dance of the Polar Bears!" Everyone knows that Polar Bears love to dance; of course they do! These Lego-brick Polar Bears are no exception. Dancing to the clarinet duet of the same name, these guys are too cute too handle! "Making Toys Move: A Lego-brick Animation Documentary"
Go behind the scenes of our big Lego-brick animated movie, "A Dog Named Time." *** Be on the lookout for "Making Toys Move 2: How to Make a Lego-brick Animation" -- this will be a much more detailed documentary that will take you through each step of the Lego-brick animation process. COMING SOON!